McGlemre Powell Peters - Virginia - Book a consultation instantly! M. Powell Peters’ practice consists largely of advising clients with tax advantaged ways to transfer wealth. Also, he works in the areas of trust administration, fiduciary income tax matters, fiduciary litigation and the administration of complex estates. 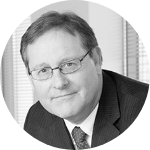 Mr. Peters has represented many charitable trusts, public charities, foundations and trust departments. He has lectured on these subjects for the ODU Tax Conference, Virginia Society of CPA’s, National Business Institute, North Carolina Bar Association and others. An Elizabeth City, North Carolina native, he represents many clients in North Carolina as well as Virginia. He was a Senior Tax Consultant at Ernst & Young from 1986 to 1991. 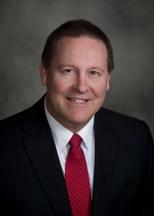 Mr. Peters joined Payne, Gates, Farthing & Radd, P.C. in 1991. He was “Of Counsel” while he served as the Chief Financial Officer and General Counsel for Approved Financial Corporation. Mr. Peters joined Wolcott Rivers in 1995 and, through a merger, it joined with his prior firm to become Wolcott Rivers Gates.